Many overweight men have tried dieting and exercising to lose weight, with only modest success. Backsliding is easy, especially during the holidays or on special occasions. Successful weight loss depends on setting attainable goals and having reasonable expectations of meeting them. Losing 10 percent of your total body weight is an example of a sensible goal that you will be likely to reach. The sense of accomplishment that you feel will encourage you to keep the weight off and lose more if you desire. Most people should lose weight gradually; a rate of 2 pounds per week is about right. If you have a serious weight-related health problem that requires you to lose weight faster, do so only under your doctor's supervision. How much you weigh is determined by a number of factors, including the amount and type of food you eat, whether you exercise, whether you eat in response to stress, your genetic makeup, your age, and your health. If you want to lose pounds and maintain a reasonable weight, you need to deal with all of these issues. Eating less and exercising are both critical to any weight-loss program, but if you eat out of boredom or fatigue, you will have a lot of difficulty keeping those pounds off permanently. Losing weight requires permanent changes in your lifestyle—changes that might be tough to make. 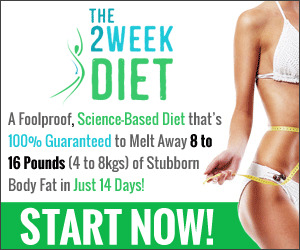 Fad diets that offer quick and easy results usually deliver only empty promises. Such diets may even be harmful to your health. Be especially wary of any diet that eliminates an entire food group, such as carbohydrates, because you could become deficient in essential nutrients. The only proven way to lose weight is to cut your intake of calories—especially high-fat foods—and to increase your physical activity to burn more calories. The healthy eating advice presented in the Food Guide Pyramid (see page 5) and the Dietary Guidelines for Americans (see page 6)—to eat a diet that is low in fat; includes plenty of whole grains, vegetables, and fruits; minimizes salt and sugar; and includes alcohol only in moderation—is even more important for men who need to lose excess weight. The first thing you should do when thinking about starting a diet is to see your doctor. He or she can tell you whether your health status allows you to undertake a weight-loss program safely. Work with your doctor to determine the type of diet that is best for you. Your doctor may want to perform a physical examination or certain tests before you begin dieting, depending on your health. When deciding on the type of weight-loss plan you want to begin, consider several factors. 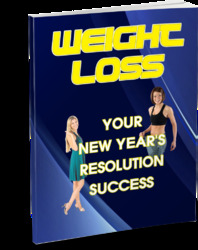 Do you want to lose the weight on your own or join a commercial weight-loss program?